My twenty-first ground of 2018 was on Tuesday 4th September at Lux Park in Liskeard, Cornwall. 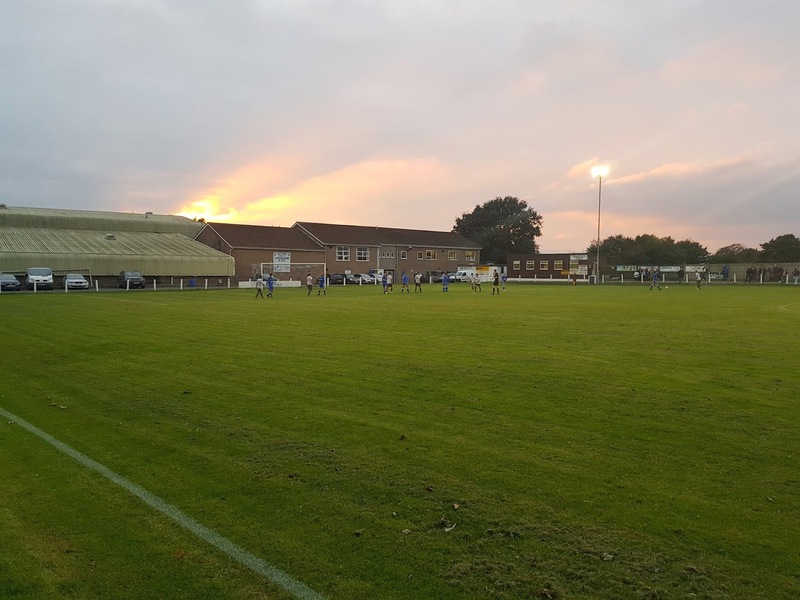 The match was Liskeard Athletic vs. St Dennis in the South West Peninsula League Division One West. Lux Park sits on the northern tip of the town as part of a sports complex. Liskeard Leisure Centre borders the western end of the ground with a cricket pitch to the north and Liskeard School & Community College's playing fields to the south. The eastern end then backs onto a road with houses beyond this. The venue is 1 mile north of the town's railway station and has been home to the club since they formed in 1946. There is one seating area at Lux Park located just past the half-way line on the southern side of the venue. This stand consists of 3 rows of concrete with wooden benching appended to it and is capable of housing a few dozen spectators. This stand doesn't take up too much of this side of the ground with the majority taken up by uncovered concrete. It is a similar story on the northern side of the ground with uncovered concrete except for a covered wooden section either side of the half-way line. The two dugouts are located directly in front of this area with the only other structure on this side being a small clubhouse building in the north-west corner. The west end is where the entrance to the ground can be found and this leads into an area of uncovered concrete. There is a decent amount of space at this end and though a chunk of it is taken up by parking spaces there is still ample room for spectators. This is not the case on the eastern end of the ground due to the adjacent road with just a slim strip of concrete on offer for anyone who wishes to watch from this section. St Dennis almost took the lead in the 8th minute when Tyler Trudgeon saw his curling effort from the edge of the box come back off the post. It was a case of fine margins proving a big difference as barely a minute later the visitors found themselves a goal behind - Tom Cleveland took up a similar position at the opposite end of the pitch his his shot was dispatched into the roof of the net giving St Dennis keeper Ryan Holland little chance. Shortly after this Jack Podmore had a header cleared off the line as Liskeard tried to extend their lead. For the remainder of the half it was St Dennis though who were the better side. Just before the half-hour mark a mix-up in the home defence saw keeper and defender collide with the ball finding its way to Carl Rickard who smashed a shot back off the crossbar. 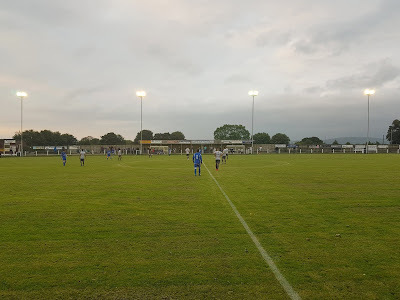 The visitors continued applying pressure and spent lots of time in the Liskeard area - they went close again in the 41st minute when an attacker was sent clean through only to see his shot saved by the keeper. Having hit the woodwork twice St Dennis could consider themselves unfortunate to be behind at the interval but any hopes of getting back into the game were undone by a bad start to the 2nd half. Liskeard should have gone 2-0 up within a minute of the restart after some nice play saw the ball crossed into the area and laid off for Tom Cleveland who drew a save from Holland with his close range shot. In the 49th minute a home corner found striker Ben Waters two yards from goal but he contrived to somehow head over the bar. St Dennis were failing to heed their warnings and just 45 seconds after this miss they did concede a second. The ball was clipped into James Lorenz who ghosted round the back of the away defence and tucked past Holland from inside the six yard box. 2-0 became 3-0 in the 54th minute and as Lorenz grabbed his second goal of the game. This one had a stroke of luck about it as Lorenz had cut inside from the right wing before his mishit cross snuck in the narrow gap between keeper and post with the ball finding the far corner of the net. 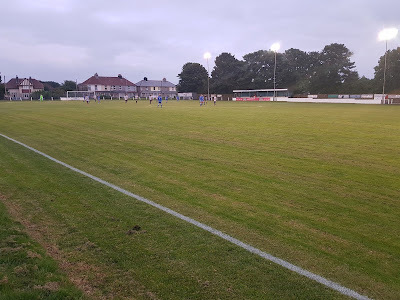 In the 57th minute Lorenz was causing problems again as he was unleashed down the right wing and crossed for Tom Cleveland at the back post with Cleveland blazing over from a couple of yards out. 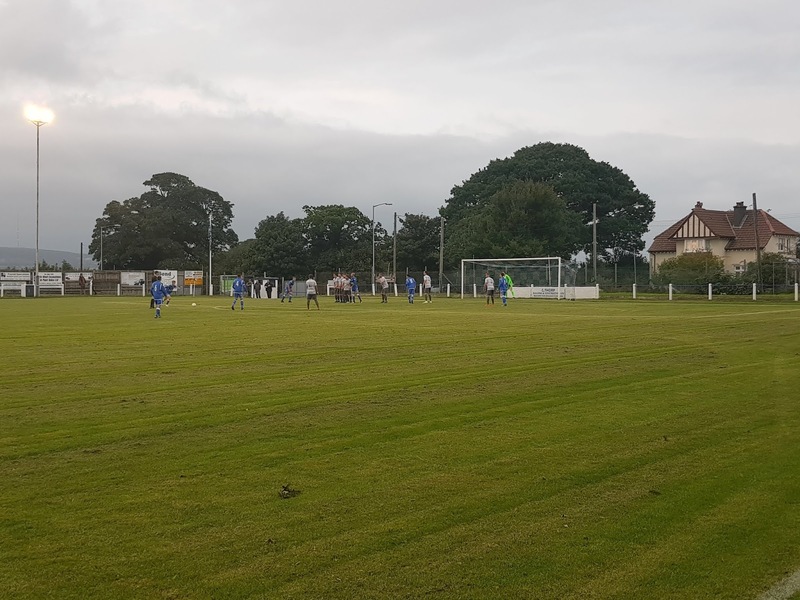 After this St Dennis were able to sort themselves out defensively to restrict Liskeard's chances but the damage was done as the game petered out with an uneventful last 30 minutes. There was still time for one more goal which came in the 87th minute when Tom Cleveland was allowed far too much time to run down the right side of the pitch, advance into the are and stroke low past Holland from a couple of yards out. That wrapped up the scoring as Lorenz and Cleveland's braces secured a comfortable scoreline for Liskeard.